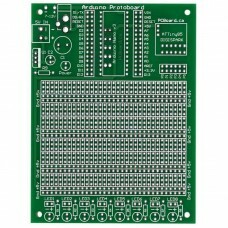 The Proto Arduino is a general-purpose prototyping platform. 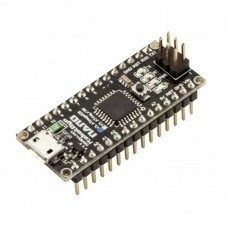 It is compatible with the Arduino Nano v3 or Digispark style ATTiny85 processors boards. Onboard features include a regulated power supply. Dedicated mounting provided for either an Arduino Nano or ATTiny85 processor board. The prototyping surface offers over 850 plated-through holes. Mounting for eight LEDs along with dropping resistors is also provided. 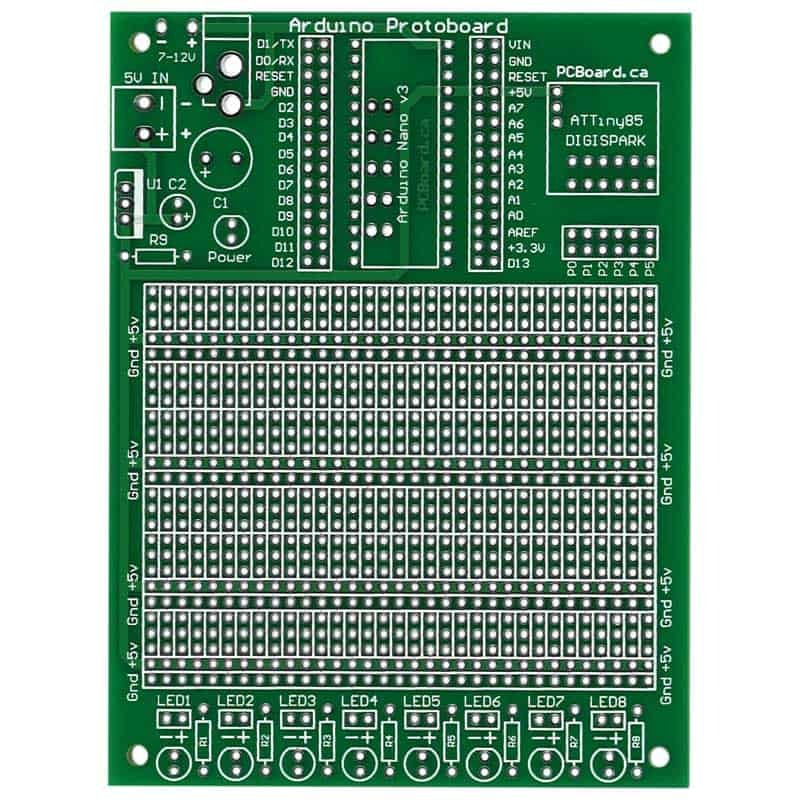 The Proto Arduino is a high-quality prototype board with solder masks on both sides of the board. Plated holes along with a high-contrast silk-screen labeling component positions. Board size is 3 3/4” x 5” (95mm x 127mm) ready to fit into standard size project cases. The complete Proto Arduino Users Guide is available for download in PDF format. 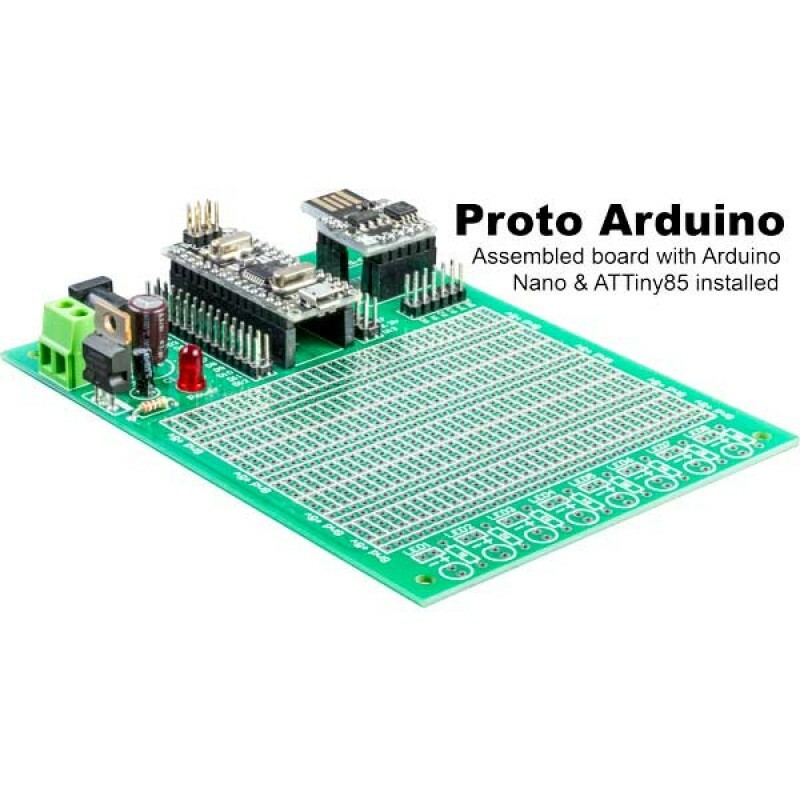 Don't forget to visit our dedicated support page for the Proto Arduino. The support page contains the latest information and application notes available. Note: Items marked with [ X ] are included in the base kit. 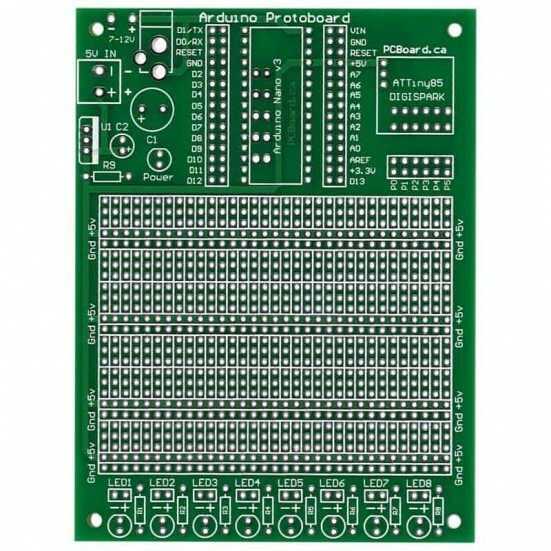 This item is for the Proto Arduino Prototype Board with associated components. You will need to supply the Arduino Nano or ATTiny85 processors (available separately) to complete this board. At the bottom of the board, there are provisions for up to eight LEDs and dropping resistors. LED1 to LED8 can either be 3mm or 5mm LEDs. The dropping resistor should be 120Ω for White, Blue, Purple or Green LEDs. For Red or Orange LEDs, the dropping resistor should be 220Ω, 1/4 watt. Both the ATTiny85 and the Nano processors support a regulated 5v DC power input. 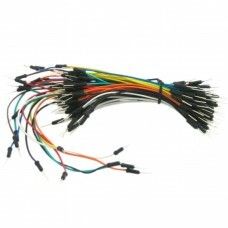 They also offer the ability for a power input with a 7 to 12v DC power source. 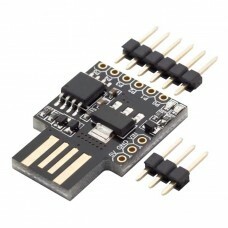 5v DC can be applied to the “5V In” connections on the board. 7 to 12v DC is applied to the board at either the power jack or to the “7-12v” power input port. When 7-12v power is used, the regulators on the processor boards will regulate the power. It should be noted that that on board regulators are for lower current operation. The Proto Arduino board also has an onboard regulator and power filtering circuit. When this is used, the board will provide regulated 5v to both processor sockets. A LED for power indicating is included on the board. Resistor R9 limits current flow through the LED. Although a handy option, the LED draws approximately 20mA of current. The LED will illuminate when 5v power is available to either Arduino module. It will also light when the onboard 5v power supply is used. The 3, 6 and 15 pin connectors for the processors can deform when soldering to the board. The cause of this is the heat required to solder them into place. Apply the connectors to the processor when soldering into the board. This will keep the pins and connector body straight during the installation process. 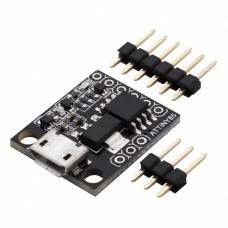 The Proto Arduino design allows for use with many manufacturers of ATTiny85 boards. Some designs have strayed from the original specifications. The pin spacing for the signal leads on the board can vary between various manufacturers. This variance can impede the installation into the proto board socket. This can be overcome by slightly tipping the pins towards the bottom of the proto board. This solution has allowed us the flexibility to install all design variations in ATTiny85 boards. This should be done when you are soldering the connector to the PCB. Mini ATtiny85 with USB Type-A Interface Arduino Compatible The Digispark compatible development&nb..
Mini ATtiny85 with Micro USB Interface Arduino Compatible The Digispark compatible development&nbs..
Arduino Nano v3 Compatible ATmega328 with CH340G and MicroUSB This Arduino Nano compatible mo..
Proto Arduino Basic Kit Arduino Nano or ATTiny85 Prototype Board The Proto Arduino is a ge..